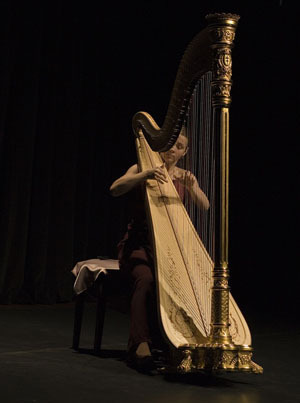 Marina is an accomplished concert harpist actively performing in Reno and surrounding areas. She has been a featured soloist with numerous orchestras, giving her first concerto debut at the age of thirteen. Many of Marina's performances were broadcast on national United States and Israeli television and Radio. Marina won the first prize in the music category of the 2006 National Society of Arts and Letters competition in Bloomington, IN. Throughout her career she was a recipient of multiple awards and scholarships which stand for her unique artistic abilities. She currently teaches harp at University of Nevada Reno and Truckee Meadows Community College, and operates a private harp studio in Reno. She is currently the principal harpist with the Reno Chamber Orchestra, Susanville Symphony and the Nevada Opera, and performs with other orchestras in the area.